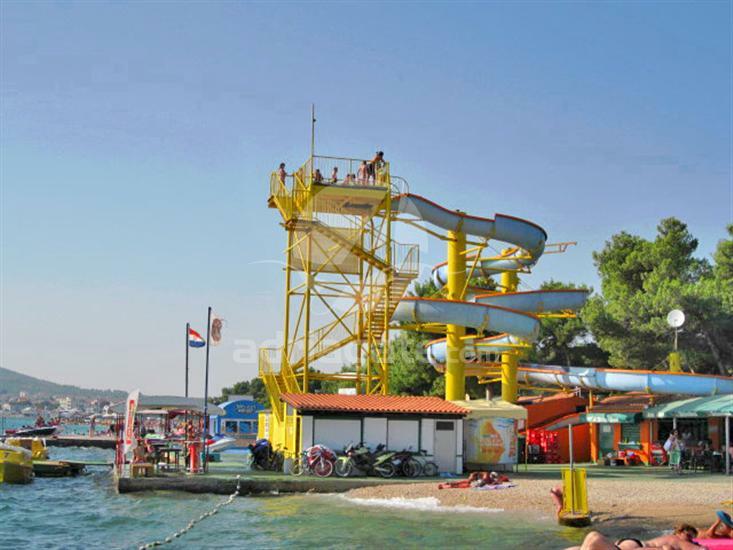 Hangar beach in Vodice is one of the best-equipped beaches on the Adriatic coast. The beach offers numerous supplies which will, together with the sun and the sea, enrich your vacation in Croatia. There are four cafes on the beach, as well as a restaurant, a fast-food stand, a healthy food shop, a shop with sports and sea equipment, outdoor showers, public toilette and changing rooms. The beach offer the possibility of renting deck-chairs and beach umbrellas. There is a somewhat separated part of the beach, intended for the elderly or for families with children. 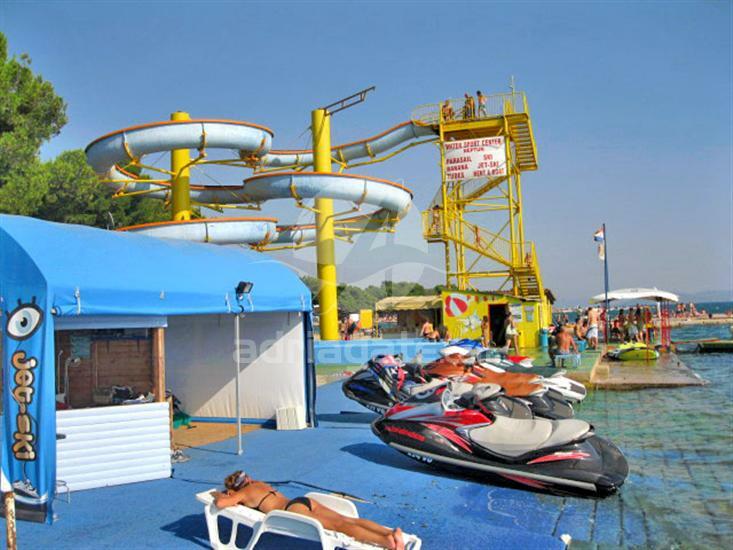 This part of the beach is completed with different types of facilities, such as the children's train, trampolines, air castles, roundabouts and other facilities for children. Diving and sailing schools are organized during summer. You can hear music coming from the popular Hookah bar all day long, while the afternoon hours offer numerous parties, popularly referred to as “after beach parties”, such as foam parties, techno parties, Studio 54 and similar, all of which have hosted some of the world famous DJ's. 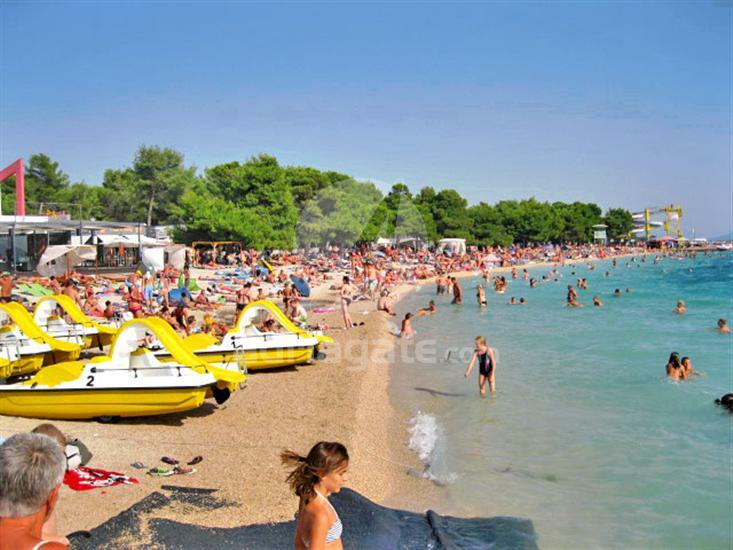 Because of this, the Hangar beach is one of the most popular beaches, as well as the main gathering place for the young in the tourist destination Vodice. Hookah bar offers a rich nightlife, as well, which lasts long into the night, sometimes even until the early morning hours.